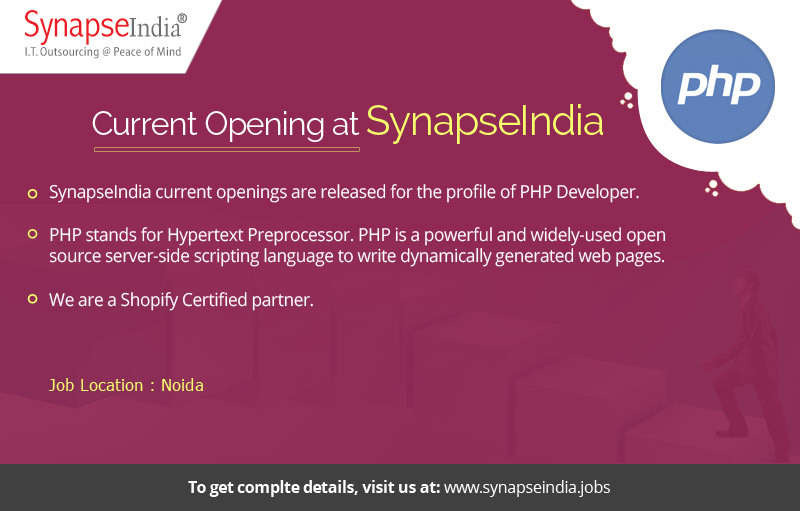 SynapseIndia current openings are released for the profile of PHP Developer. PHP stands for Hypertext Preprocessor. PHP is a powerful and widely-used open source server-side scripting language to write dynamically generated web pages. We are a Shopify Certified partner. The job location for the profile is NSEZ, Noida.